Bloom Heights ... progressing steadily. UAE-based Bloom Properties has confirmed that work is progressing at a steady pace on several of its projects located across Dubai and Abu Dhabi, which are on track for scheduled delivery. These developments include Bloom Heights and Bloom Towers in Jumeirah Village Circle (JVC) and Stella Maris in Dubai Marina in Dubai, as well as Park View and Soho Square mixed-use developments at Saadiyat in Abu Dhabi. The main works of Bloom Heights and Bloom Towers are progressing steadily, and the developments are scheduled for handover in the first quarter and third quarter of 2020, respectively. Located in the master community of JVC, Bloom Heights will comprise 686 residential units. Bloom Towers will feature three buildings with a total of 944 residential units including 255 units within a new building. Bloom has also commenced the main construction of its flagship Stella Maris development. 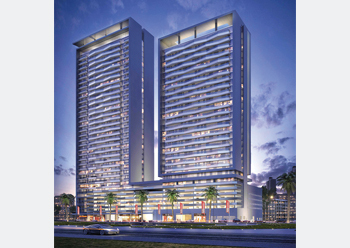 Taking shape at Dubai Marina, the development will comprise 313 high-end residences. In parallel, work is under way on Bloom’s mixed-use developments at Saadiyat in Abu Dhabi, with Park View on track for handover by the year-end. The project will comprise a residential and a hotel apartment building. The residential building will consist of 207 units, whereas the hospitality component includes 217 furnished and serviced hotel apartments. The main construction of Soho Square also in Saadiyat, is in full swing, and the development is set for completion in the first quarter next year. Soho Square will feature 302 upscale residences.